is recommended for an overview of subglacial processes, one of the most poorly understood aspects of cryo-spheric science. Oerlemans (2001) gives a nice overview of glacier-climate processes. Clarke, G.K.C. (2005). Subglacial processes. Annual Review of Earth and Planetary Sciences, 33, 247-276. Greve, R., and H. Blatter (2009). Dynamics of Ice Sheets and Glaciers. Springer-Verlag, Berlin, Germany. Hooke, R. LeB. (2005). Principles of Glacier Mechanics, 2nd ed. Cambridge University Press, Cambridge, UK. Oerlemans, J. (2001). Glaciers and Climate Change. Balkema, Rotterdam, The Netherlands. Paterson, W.S.B. (1994). The Physics of Glaciers, 3rd ed. Elsevier, Amsterdam, The Netherlands. van der Veen, C.J. (1999). 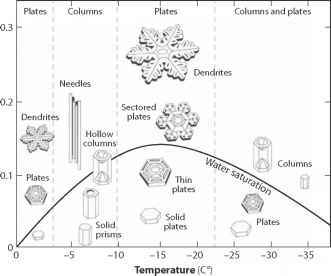 Fundamentals of Glacier Dynamics. AA Balkema, Rotterdam, The Netherlands.